For April’s book club book, we’ve been reading all about the meanings of different flowers and I’ve been fascinated! I’m probably ruined because I can no longer look at a flower without wondering the deeper symbolism. Did you know that in the Victorian flower language (yes, it’s a thing and it’s amazing) the strawberry represents “sweetness in character”? Who knew? Mother’s Day is just around the corner and it is the perfect opportunity to show gratitude to all the women in your life. 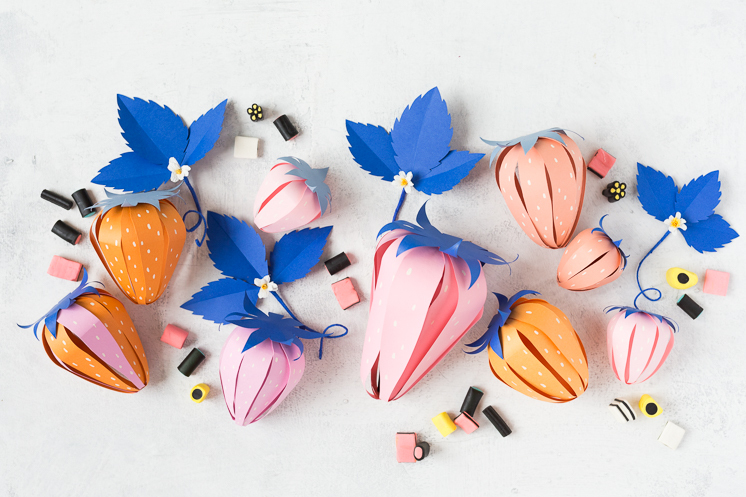 Remember our DIY Carrot Surprise ball? 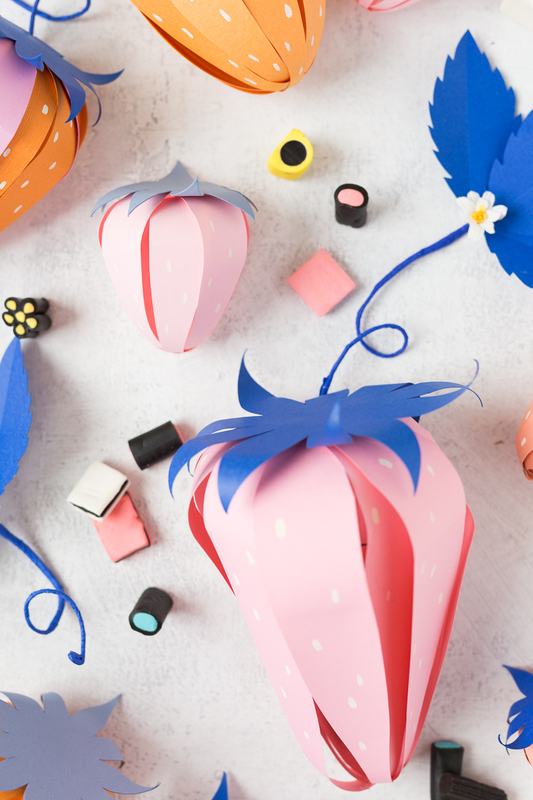 We made an easy way to recognize someone’s sweetness with our spin on a paper strawberry surprise ball! Filled with a favorite candy, a mini lotion, nail polish, or other trinkets, you’re good to go! These would make great party favors too. So spread some sweetness and make all the strawberries! 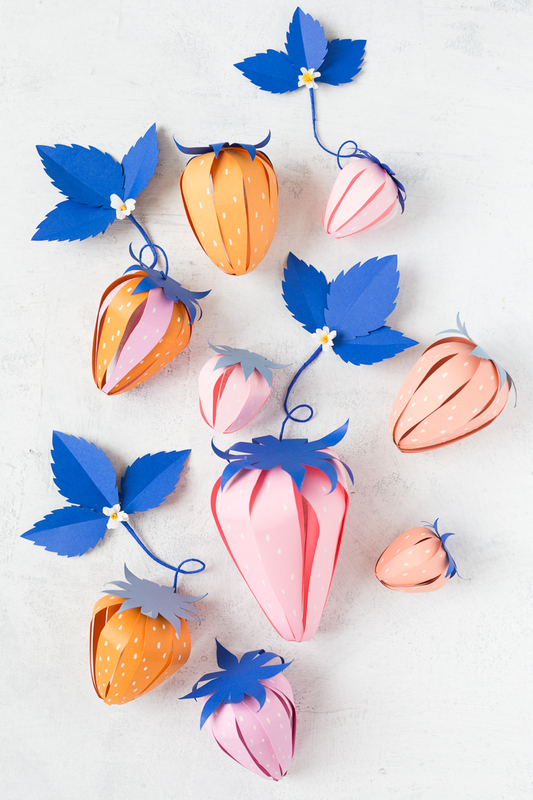 For each strawberry, cut out 5 strawberry “petals” from the templates. Form petals in a concentric formation, with the centers overlapping. Hot glue in place. 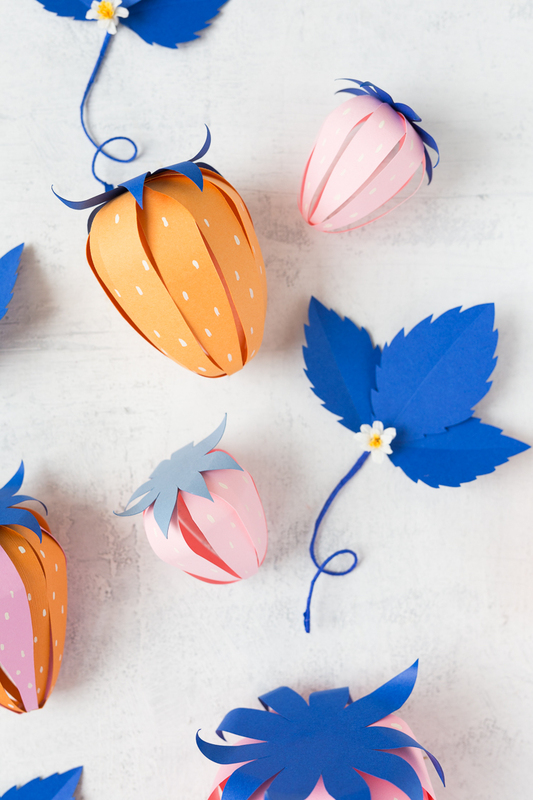 Scissor curl the top half of each petal by running the scissors along the paper so it creates a soft bend. Hole punch the end of each petal. With a needle, thread a piece of string through the hole punches and tighten, gathering all the petals together at the top. Tie a tight knot and trim thread tails. 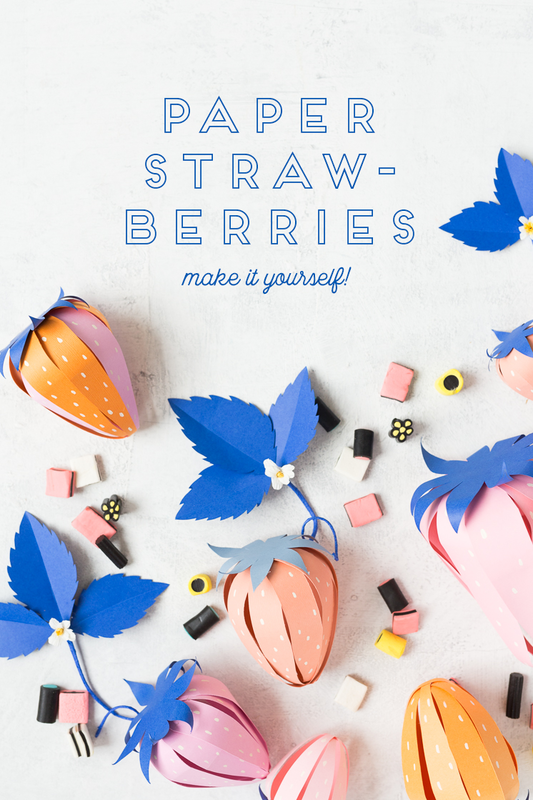 Cut out strawberry top in blue paper and glue to the top the berry. Scissor curl edges. Cut wire into approximately 5″ pieces and hot glue onto the back of the scored leaves. Gather leaves together into a cluster of three. 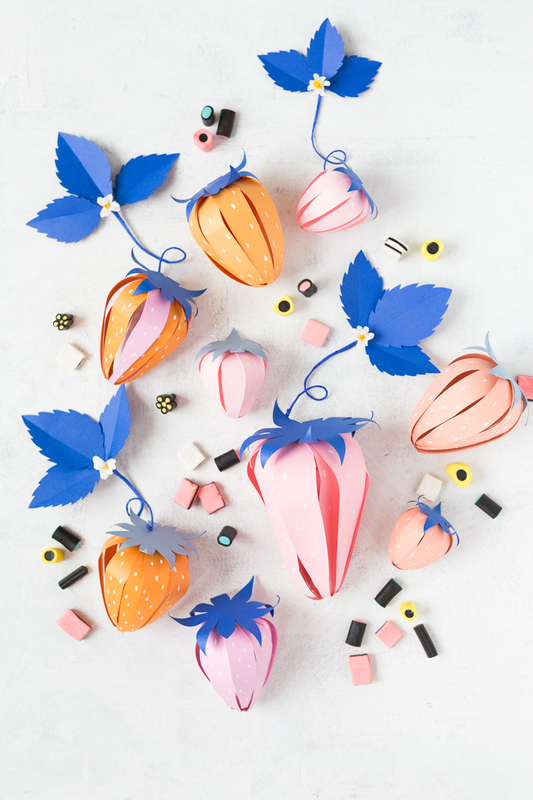 Secure together by wrapping a stretched out piece of crepe paper around the wire stems and securing with glue. Add a small white and yellow flower to the center, referencing the white flower shown in this tutorial. Fill with desired goodies by gently spreading apart the petals and give to someone in need of sweetness!